physixteacher | Chatting about Technology, Society and School. Chatting about Technology, Society and School. When I began my journey three and a half years ago, my goal was to obtain my M.Ed. in Curriculum, Teaching and Learning so that I could eventually work in administration. Along the way, however, I realized that educational technology classes were what I enjoyed the most and had the most impact on my classroom. I no longer want to work in administration; I want to continue my work trying to evolving as an educator and using technology to its full potential. What I have realized is that I want to be a part of this educational revolution that is currently in its infancy and since I love change and challenge…. it is an incredibly exciting time to be a teacher!! As I think back to what my classroom was like when I started this process, I see that many things have changed. I have tried blended learning, using a flipped classroom and have incorporated technology in every way possible! My physics students are now using motion detectors and graphing software to carry out their experiments. The obtain accuracy that they never even came close to when conducted the traditional way. For example; In measuring the acceleration due to gravity, most students were within 2-4% of the actual textbook value! It was an amazing experience…. the students didn’t realize the significance until I started clapping and jumping up and down with our results!! We were drawn in to the event and wanted to measure so many other types of motion with the detectors. To me, this was inquiry-based education at its finest. I try to keep in mind something that I learned in my Inquiry and ICT class: I want my students to learn with the technology, not from the technology. The mistake that I made myself prior to my classes is using technology for technology sake. I was using it to replace me being the source of information but was still direct teaching and not student centered or inquiry based. With the learning that I did as an educational technology student I was determined to change the way I did things. At the beginning of the 2011/2012 school I attempted to create completely inquiry and problem based classes with the help of technology. After a month of stress and frustration, I realized that we… meaning my students as well as myself… were not ready or adequately skilled for such a transformation. From that experience, I recognized that starting small is essential for everyone and building slowly but surely from that point on is the best way to go. My eLearning class has confirmed that what I experienced with my students is not uncommon. Both teachers and students need time and practice to acquire the mind set and skills for working collaboratively in an inquiry or problem based environment. Digital literacy and digital citizenship have become part of all my science classes. My students are blogging with students from across the province and across the world about nuclear physics. Because I am the moderator and have to approve all posts before they go public, I have been able to have valuable conversations with some students who did not necessarily understand appropriate blogging practices. For the most part, however, my students impressed me and went over and above expectations. I also had my students investigate and use many different online presentation tools and had them work collaboratively to build their knowledge. Even though my educational technology classes have come to an end, I will model lifelong learning by continuing to research so that I stay up to date with current trends. I will continue to include as much technology in my classroom as possible and to build into a balanced and student-centered classroom that will help my students to be the creative problem solvers that will be successful in today’s information age. At my school we have a Tutorial program where students are scheduled to attend tutorial as a place for homework assistance. Because it is a scheduled class, attendance is mandatory for those that sign up. The coming year will find tutorial becoming quite a bit more structured with a focus on literacy. We recently had a meeting where our special education teachers were outlining the program to those of us who will be working in the tutorial room. Needless to say, what they had outlined was traditional literacy. The reason for the renewed push for literacy is due mostly to the fact that the math curriculum has been completely overhauled to include inquiry and problem based learning. Without a firm ability to read, decipher information and apply concepts, students will struggle with this new math. So, I understand the rationale for the new structure and can see its value to students. However, because of what I have learned in this class, I suggested that we also include digital literacy in the mix. I was specifically referring to the skills needed to search the internet, read information, interpret and judge whether information was legitimate or not. To me, these are very important skills needed for all classes. Everyone agreed, thankfully, and it will be added to the tutorial curriculum. Afterwards, I read through the National Council of Teacher of English report (2009) called Writing between the Lines-And Everywhere Else. They explain how the research they have done shows how the writing that students do outside of school is very different than the writing that they do in school. This polarity is a huge problem, in my opinion. 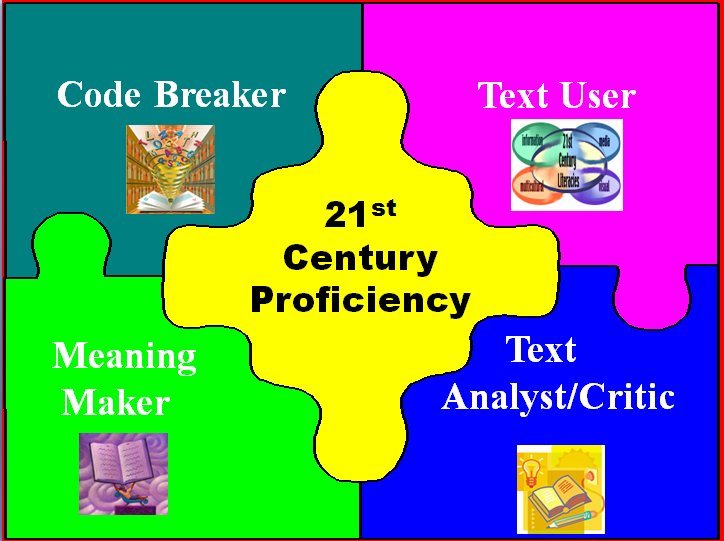 The report goes on to outline three aspects of 21st century literacy: (1) The ability to find information and judge its accuracy; (2) The skill to read and understand many diverse types of print and online text; (3) The capability to innovate and use knowledge creatively. This information supported my push to include digital literacy in the tutorial classrooms. As a non-English teacher it is tough to be a leader in this regard. What I try to do in my classes is promote the three skills outlined above. In fact, I have already been doing this for years with the science projects that I assign! Unfortunately, this has not always been seen as a useful form of literacy. I wonder what the best way is to provide leadership within a school setting? How can teachers work together to move literacy in the 21st century even though some resistance exists? Sometimes I find myself getting very impatient with the complaints of today’s youth. How they show apathy and indifference to their education, and how they are so distracted with the technology of today. So many people say that society is going downhill because of technology and that we are losing intelligence. Most of the time technology and the so-called loss of literacy take the blame. I was encouraged to read that “textual literacy has become so ingrained in Western society that it has reached the point of invisibility. But humans have only been using reading and writing for a very short time in our history” (Thomas & Joseph et al., 2007). The article also explains how Transliteracy has far reaching historical roots and that in the long past, humans have used many different ways to communicate. Surprisingly, reading and writing have only been around a relatively short time. “Transliteracy is the ability to read, write and interact across a range of platforms, tools and media from signing and orality through handwriting, print, TV, radio and film, to digital social networks” (Thomas & Joseph et al., 2007). Why are we so obsessed with the formality of the written word? Why do the arguments continue about whether true literacy exists beyond the printed text? To me the arguments and complaints are useless. They will not produce fruit. 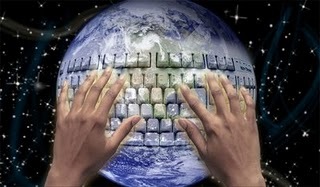 In my opinion all it does is exacerbate the generational divide between the digital natives and the digital immigrants. If we are to reach the youth and promote the literacy we hold so dear, we must accept it on their terms. We must place literacy in the context of what is important to our students. “…learning has to do with how people appropriate and master tools for thinking and acting that exist in a given culture or society. This anchors literacy and learning in societal perceptions of what is important for a particular society. Thus, the nature of “literacy” is not neutral, rather becoming literate has always depended on mastering processes that are deemed valuable in particular societies, cultures and contexts;” (Misfund, 2005). If what we do in school continues to be so different than what happens outside of school, students will continue to display apathy and not become engaged in their schooling. Outside of school students are continually reading, writing and publishing. Often what they do is very public. As educators we must harness these abilities and skills within our own curriculum context. We must make these everyday processes about more than what happened on the weekend. After watching the 100th Grey Cup, I couldn’t help wondering how technology has changed the face of sports. In today’s game we waited many minutes while a catch was reviewed by a panel of officials somewhere observing every possible angle. I recall TSN saying they had 32 possible camera angles to share with them, if need be. In the end, the call on the field stood. There was not enough visual evidence to overturn the call. Not only has technology changed the way the game is officiated, it has also changed how we watch it. We have our 52 inch high definition TV’s that almost make it inconvenient to actually go to the game. Why sit in the cold, heat or rain, when you can watch it in all of its detail at home. But… of course we all know there is nothing like being at the game. The atmosphere cannot be replaced by any technology….except… now you can watch close up details on the jumbotron! Sometimes, even when I’m in good seats I find myself taking in the game on the screen instead of on the turf. I honestly have to force myself to watch the real action. Perhaps I’m drawn by the pretty lights just as a moth is drawn to a bug zapper…. but I digress. Social media has had an impact on the game as well. Sometimes, when I am busy cooking chicken wings or deep frying anything that is battered, I press pause on my PVR. I don’t have to miss any of the action. But, I have to be very careful not to go on Facebook or Twitter at any time until I catch up and am watching in real time. There’s always a bunch of my friends who are busy commenting and analysing during the game; Even if they are in the stands! From fantasy football to buying your tickets, technology has most definitely changed the face of sports. For an interesting take on sports and technology click here. I want to run my Workplace and Apprenticeship Math 20 as a blended learning classroom next semester. I taught this class online last year, so all of my lessons are electronic already. With the ability to enhance some of the lessons with face to face activities and collaboration I am thinking this would be an excellent opportunity to experiment with the format. The problem is, however, that I don’t have access to computers all of the time. With the technology limits within my school, I’m not sure I would be allowed to book one set of computers for one period for an entire semester. It would be difficult to plan around when I would and would not have access to the computers. Some of my students have been asking me if they can bring their own devices to school and I have been saying yes. I’m not actually sure if this is sanctioned by the school division, but I guess I will eventually find out one way or the other. Sometimes it is better to remain ignorant and ask for forgiveness later. There seems to be two camps that currently exist in education today. There is the BYOD (bring your own device) versus the 1:1 camp. My school is definitely not in the 1:1 camp, so I will assume, for now, that they are in the BYOD camp. That’s my story and I’m sticking to it. With sporadic access to technology it is difficult to become completely technologically oriented, but a blended classroom may be the best way to go. I’m looking forward to trying it out! Post #4 — Boo! Halloween isn’t the scariest thing around. It’s giving up power in classroom. It’s not about technology, it’s about power. Letting students direct their own learning using technology is a scary thing. It means handing over the reins to the students. Doug Lawslo replied recently to a post called “Struggling with educators’ lack of technology fluency” on the dangerously irrelevant blog. He said “The basic issue isn’t about technology, its about power. My purpose is to help them learn, not to teach. If that means I let a student lead, I lead, or we all learn together. Stop worrying so much about teaching and start thinking about learning.” (dangerouslyirrelevant.com, Oct. 20, 2012). My reply to Doug was this: When we think about all the information and learning tools that are out there we teachers seem like such a small piece of the puzzle; Especially if we think of ourselves as information deliverers. But that is not what we need to be today! We need to be facilitators that inspire our students to do more than they thought they could do. It is our job to push them to where they feel a bit uncomfortable and help them get over that obstacle. I loved Doug’s example about having the students learn the technology first! I actually did the same thing with Motion Detectors in my Physics class. I knew that they would be able to figure it out and I learned so much from them. In all honesty, sometimes I struggle with the loss of power in my classroom, because sometimes it translates into loss of control and management of the situation. But, I just chalk it up to growing pains and I’m learning a lot about how to let the kids go, but still keep things organized and manageable in the classroom. Sometimes when I walk down the hallways of my school and see other teachers with quiet students working quietly in rows of desks I start to wonder if I’m doing something wrong. But reading the research and blogs of other teachers and schools using technology help me to persevere and continue to grow as a 21st Century teacher. Unfortunately, I think students see school as something to endure and get over with as easily as possible. Then, the real learning can happen after; when they have completed this institution that society says you must go through. Students know how to learn on their own. I have watched my own children Google sometimes very difficult strategies for completing their video games. I have seen students on their own time endlessly using technology to learn about the best vehicle or how the universe works. Notice, that none of what I have mentioned here is in traditional school curriculum. But, I guess it does make sense. Problem solving and critical thinking are actually pretty hard. When I consider my role to one of the challenger and the facilitator, it is my job to arrange to make students feel slightly uncomfortable (not too much, though, or they will just give up!). In this discomfort they will have to grow and that, my friends, is what education should be all about. My vision of education for the future includes students who see school as a growth opportunity; a place where they solve problems that are relevant to them and that are current; A place where they are allowed to use technology in as many forms as they know how. School is a collaborative, interesting and sometime fun place to be. School is more than just boring hoops to be jumped to get to a better position in life.